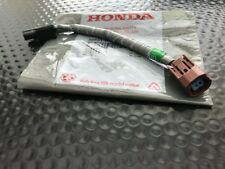 $100% genuine Honda Acura knock sensor sub wire harness. 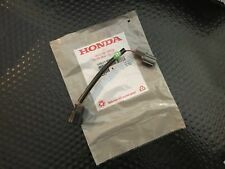 Replace your damaged or missing sub wire knock sensor connector harness today with our factory OEM Honda part. Applications: 2001-2003 Acura CL 2001-2003 Acura MDX 1999-2003 Acura TL 1999-2004 Honda Odyssey 2003-2004 Honda Pilot Disclaimers: Images in most cases are for display purposes only. Please read carefully about the product before buying, and contact us if you have any questions. **RETURNS POLICY** Inline Four understands that not every purchase is a good fit for every customer. In the event that you would like to return your purchase, we allow returns that are processed within 30 days of purchase. Please contact us for a RMA # and our return shipping address. OEM 30530-P8FA01 30530P8FA01. 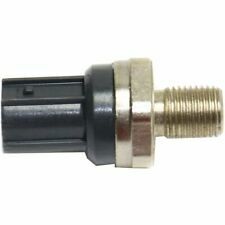 Application: Ignition Knock Sensor. 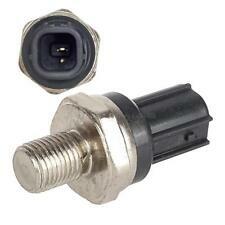 1x Ignition Knock Sensor. 2x ALS464 ALS436 Front ABS Wheel Speed Sensor For BMW 325Ci 320i 325i 330i M3. 2pc Rear ALS349 ALS348 ABS Wheel Speed Brake Sensor For 04-08 Nissan Maxima 3.5L. 100% genuine Honda part. Replace your missing knock sensor sub wire harness today. Applications: 2003-2006 Acura MDX 2005-2008 Acura RL 2004-2008 Acura TL 2003-2007 Honda Accord 3.0 V6 2005-2010 Honda Odyssey 2005-2008 Honda Pilot 2006-2008 Honda Rigeline Disclaimers: Images in most cases are for display purposes only. Please read carefully about the product before buying, and contact us if you have any questions. **RETURNS POLICY** Inline Four understands that not every purchase is a good fit for every customer. In the event that you would like to return your purchase, we allow returns that are processed within 30 days of purchase. Please contact us for a RMA # and our return shipping address. Return shipping and handling is the responsibility of the buyer and all returns are subject to a minimum of a 15% restocking fee. 2003-2006 Acura MDX V6-3.5L Downstream Rear. 2005-2008 Honda Pilot V6-3.5L Downstream Rear. 2005-2008 Acura RL V6-3.5L Downstream Rear. 2004 Acura TL V6-3.2L Downstream Front. 2005 Acura TL V6-3.2L Downstream Rear. Part Number: AS191. Established in 1959! 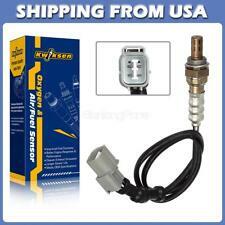 Part/Notes: FRONT EXHAUST MANIFOLD OXYGEN SENSOR -. -Life is life and issues arise; people make mistakes. 2003-2004 Honda Pilot V6 3.5L. Q: How do I know the O2 sensor is good or not?. (Online Video ). 2 x Oxygen Sensor. 2001-2002 Acura MDX V6 3.5L. If the sensor is good, further diagnosis is required. There're many different codes for specific functional failures, which are NOT necessarily relevant to the sensor. 4 x Oxygen Sensor. If the sensor is good, further diagnosis is required. There're many different codes for specific functional failures, which are NOT necessarily relevant to the sensor. 2005-2006 Honda Odyssey EX-L - 3.5L;. "Bosch Oxygen Sensor --. BOSCH OXYGEN SENSOR. Condition : New. Under NO circumstances will our liability exceed the amount of the original sale. General Warranty Limitations (Applies to all Product Warranties). Part Number: MAS0244. Established in 1959! 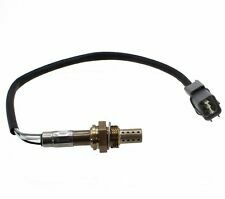 "Denso Oxygen Sensor --DENSO SUPER CLASS OE IDENTICAL OXYGEN SENSOR. Each of Denso's Oxygen Sensor is constructed from the highest quality materials available. Manufactured to the OE standards and subjected to rigorous safety and performance tests. Sub-wire harness is often associated with knock sensor DTC codes or issues due to frayed or chewed through wires. New In Bag, Genuine Honda-Acura Knock Harness. see Compatibility Table for all applicable vehicles. 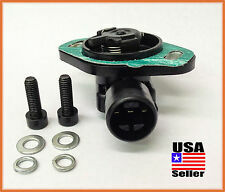 New, Genuine Honda-Acura Detonation/Knock Sensor. This kit is for a single sensor. see Compatibility Table for all applicable vehicles. HONDA OEM 36532-RJA-004 NEW NEVER BEEN USED NO BOX THIS IS THE ACUAL PICTURE.